"This is a salad dressing that I really enjoy on a green salad with walnuts, cranberries, avocado and goat cheese crumbles. This dressing is strong, so a little goes a long way." 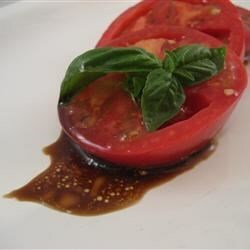 Whisk together the vinegar, honey, olive oil, and soy sauce until the honey has dissolved, and the dressing is smooth. This is now my new favorite dressing. I absolutely love it. The only change I made was it needed a little mustard. But other than that it was brilliant. This is very good and got lots of great reviews! The only change I would make is to maybe up the honey to balsamic ratio. Thanks! I love this recipe - the only thing I added was 1 tsp yellow mustard. My whole family loved it!